Monday Montage Blog Hop – Week 113!!!! The background flowers were stamped off in Daffodil Delight and then a piece of vellum was placed on top of the base. 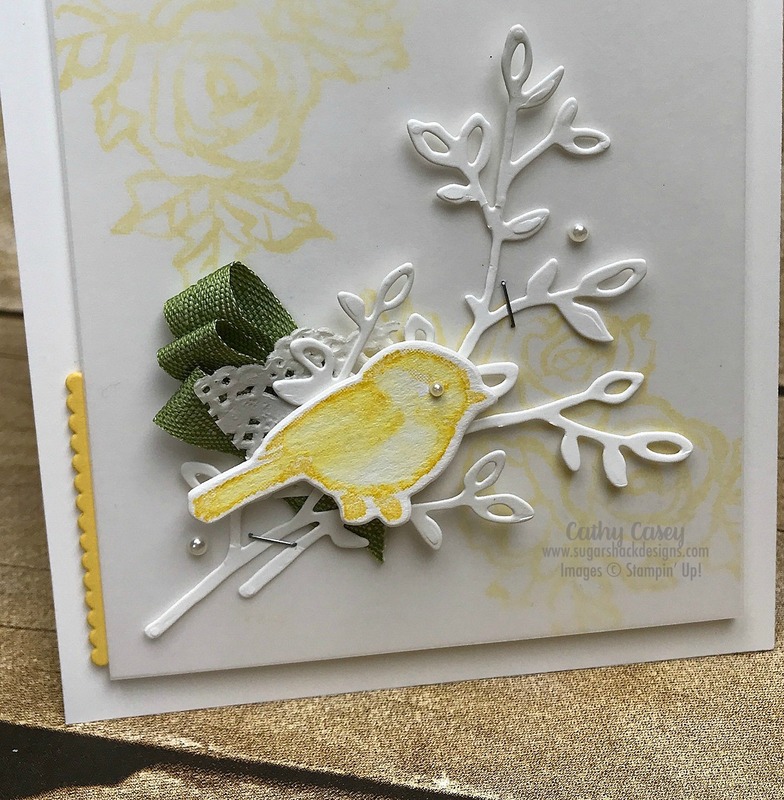 This created a soft background for the card, it is so pretty! Adding the bit of Old Olive ribbon underneath the bird draws the eye in and adds a pop of a different color from the main scheme. 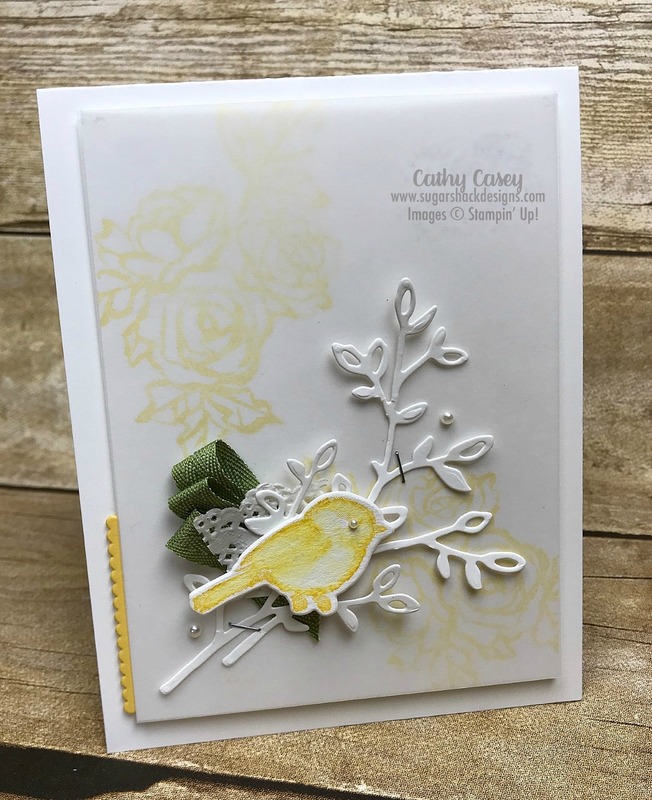 This entry was posted in Cards, Stampin' Up and tagged Create, DIY, Easter, Papercrafting, Papercrafts, Petal Palette, Stampin' Up, Watercoloring by kate80132. Bookmark the permalink.